Extension of baseline road to Galle road. Cabinet this week has approved a major revamp and the development of essential utility services and infrastructure in the Western Province. 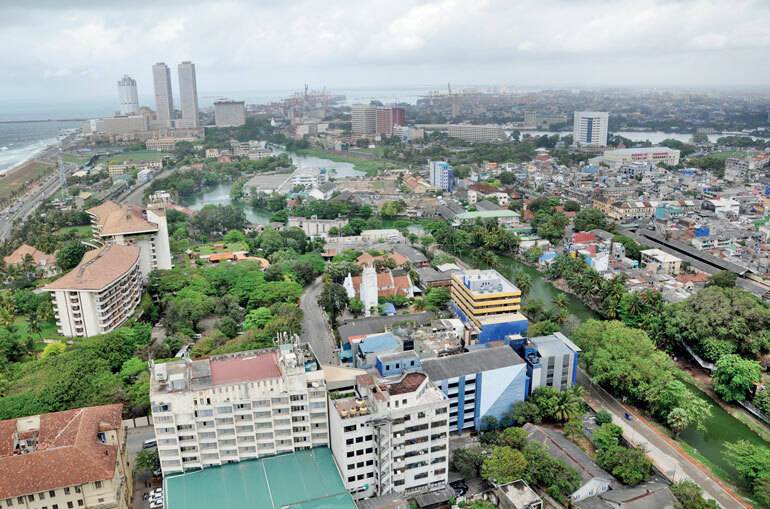 Based on a proposal by Megapolis and Western Development Minister Patali Champika Ranawaka, the Government will develop utility services and extend the main road network of the region, in anticipation of the increased demand. Cabinet co-spokesperson Gayantha Karunathilaka said the total cost for the improvements had not been estimated yet. However, Karunathilaka said the Highways Ministry had already started some of the proposed road projects. A host of improvements to the transport, electricity, water, drainage and waste disposal sectors, which are predicted to experience an increase in demand when the main western region megapolis project plan is implemented, have been proposed by Ranawaka. The Ministry has proposed developing three Municipal Solid Waste (MSW) management plants to process 1,600 tonnes of solid waste generated each day. However, taking into account the possibility that some parts of the plan may fail due to public protests against waste generation plants, the Minister has also proposed processing the MSW within the waste generation cluster through improvements made to waste disposal yards using sorting or burning technology. Further, a number of roads in the Western Province will also undergo improvements and extensions under the new proposal, including an extension of Baseline Road to Galle Road, the construction of a new transport expressway from a multimodal transport hub in Makumbura to the Mahenawatta science and technology city and an extension of the Polduwa-Koswatta road. Two new flyovers at Kohuwala junction and a railway crossing near Castle Hospital to ease the traffic build up in the areas have also been proposed along with plans to establish five multimodal transport hubs in Battaramulla, Katunayake, Kadawatha, Moratuwa and Panadura to regularise bus services. The Cabinet paper has also proposed extending the upcoming elevated road from Kelani Bridge to Rajagiriya via Orugodawatta to the outer circular highway covering the Battaramulla administrative city. The Cabinet paper also proposes new water projects to ensure an uninterrupted water supply as it is not possible to meet the increase in demand through current water resources. Accordingly, two new reservoirs near the Seethawaka Ganga and Wee Oya will be developed. The tanks will also regulate flooding in the Western Region Megapolis, the Cabinet paper highlighted. Further use of recycled waste for non-drinking purposes and the desalination of sea water using electricity in off-peak hours have also been proposed as solutions.